We are proud to announce that LeadingLawyers.com named partners Bruce E. Bell and Michael S. Friman as Leading Lawyers, and associate Andrew W. Bell as an Emerging Lawyer (top photos). 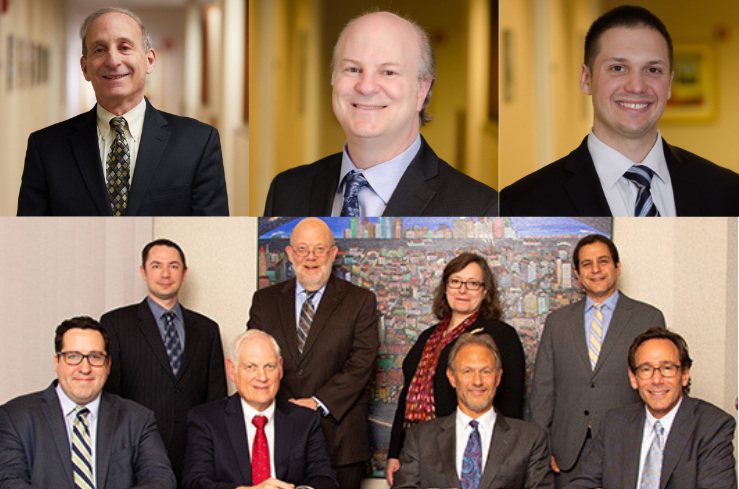 They join the ranks of the Firm’s repeating Leading Lawyers: (bottom photo, pictured from left to right, top row) Gregory M. Mini (Emerging), Daniel E. Beederman, Joan T. Berg, Adam J. Glazer, (bottom row) Matthew P. Tyrrell (Emerging), Ron Silbert, Norm Finkel, and Richard M. Goldwasser. Not pictured is Leading Lawyer Herbert B. Rosenberg.